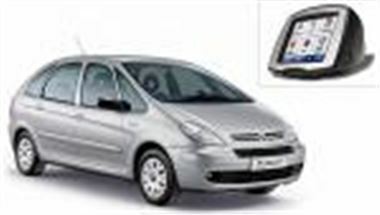 Citroën Xsara Picasso Desire comes with £3,400 cashback, and a colour touchscreen Garmin StreetPilot c320 SatNav system worth £410. C4 comes with cahsbacks up to £1,900 throughout January, with post-cashback prices starting at £9,695 for the 1.4i 16v VT Coupé. Almost all C4, C3, Xsara Picasso, Berlingo Multispace and C8 models are also available with 0% finance. Citroën’s January cashback deals range from between £1,000 and £2,200 off C2 models, right up to £3,650 off the Xsara Picasso 1.6HDi LX. C3 supermini comes with up to £2,200 cashback. C5 comes with £3,200 cashback across the board, bringing the cost of the entry-level 1.8i 16v LX model down to just £12,095. These cashback and 0% finance deals apply to vehicles ordered by 31 January and registered by 31 March 2006, and continue Citroën’s reputation for offering great value for money.